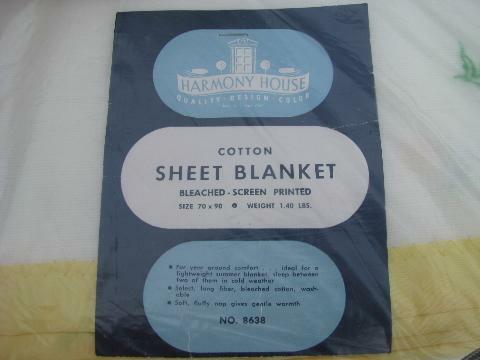 Vintage Harmony House (Sears) all cotton sheet blanket, mint in the original package with label, never used. 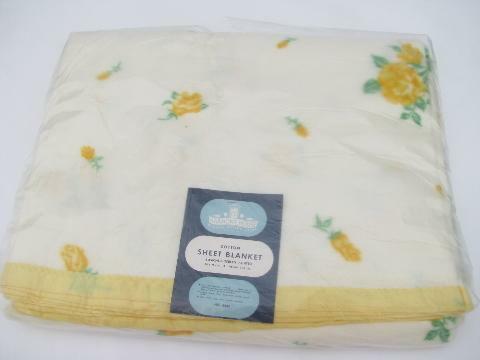 The blanket measures 70" x 90", and has a pretty yellow rose pattern. 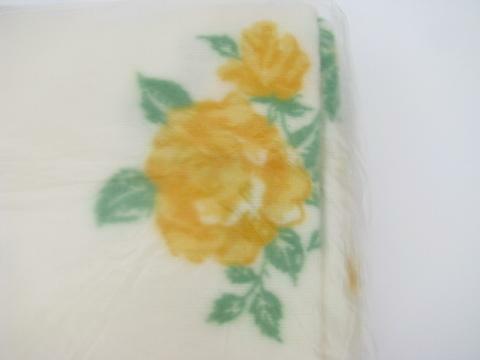 The plastic package has a tear at the top.